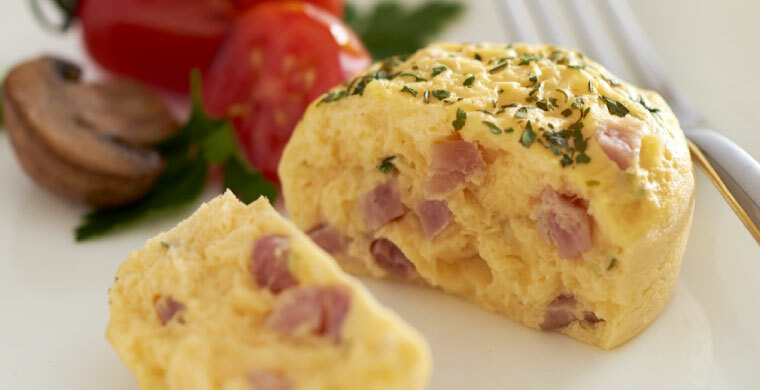 Made with real, farm fresh eggs with smoked ham and cheddar cheese, our Egg Bakes are baked to perfection! Packed with all the goodness and protein of eggs with no artificial colours or flavours, these taste sensations are great as the hero of your meal or served on its own. Egg Bakes are ready to serve in less than 60 seconds. Our Egg Bakes are so versatile. Check out some of our serving ideas that will have your customers asking for seconds. These instructions are a guide only. Heating times may vary according to the number of items being heated and the power of equipment used. As a guideline we recommend heating products to 65-70°C and serve, or hold at this temperature for a maximum 2 hours. We do not recommend reheating previously heated product. For optimum taste, reheat from a thawed rather than a frozen state and serve hot. Our products will reheat with a soft and delicate texture when following these heating instructions. Our Egg Bakes are Burlodge compatible. For further information please contact customer service on 1300 834 703.